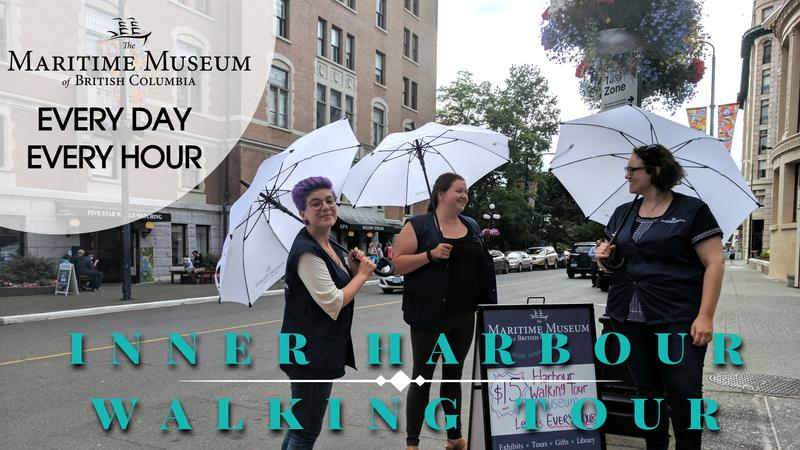 The tour starts at the Maritime Museum of BC and go around the Inner Harbour, up Wharf St., through Bastion Square, down Government St., and back to the Museum. It runs for about an hour and includes the cost of admission. Maximum tour group size is 20 people. Book your tour today by visiting us or calling (250-385-4222 ext. 103) to reserve your spot! Day-of registrations are also welcome.